Research has shown that nonspecific factors such as relationship and personality have a stronger correlation to outcome than method. 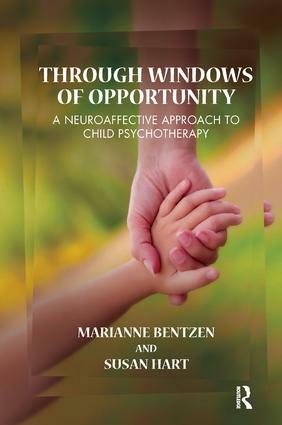 The basic argument of Through Windows of Opportunity is that skilled psychotherapists do similar things while describing them differently, and that psychological healing is created in the context of relationship. This book presents the work of four therapists: Peter Levine from the USA (working with with Somatic Experiencing on trauma states); Jukka Makela from Finland (with Theraplay, working with disorganized attachment); Haldor Ovreeide from Norway (with a therapeutic conversation in a disrupted son-mother dyad); and Eia Asen from the London Marlborough Clinic (with systemic and mentalization-based family therapy working on a dependent attachment pattern). The closing chapters of the book summarize the high points of the discussions among the four therapists about nonspecific but shared aspects of their interventions, moderated by the authors.